My daughter is now 7 weeks. Although I can’t completely say that things are completely ok, it is definitely better than the first 6 weeks. I had experienced several motherhood challenges – from recovering from a caesarean operation, to breastfeeding, to taking care of an infant and a three year old. Suffice it to say that I have been through difficult times. It is difficult to be a parent to say the least. Anyhow, I am glad that my daughter is growing and developing. Although I love her very much, she is not a very easy child to take care of….or probably I’m too old for this. She is truly draining all my energy and it seems like all of my time is spent on her. This is her at two weeks. It is one of those rare pictures (at this stage) where she actually had her eyes wide open. She still loves to sleep. Luckily, my supportive in-laws were with us through it all. They helped take care and maintain our household and my hyperactive toddler. So what has been happening lately? Last week, we had an unusual visitor. Mikuláš (St. Nicholas) visited us in our home. Here in Czech Republic, Mikuláš day celebration is a tradition. It signals the start of the Christmas season. 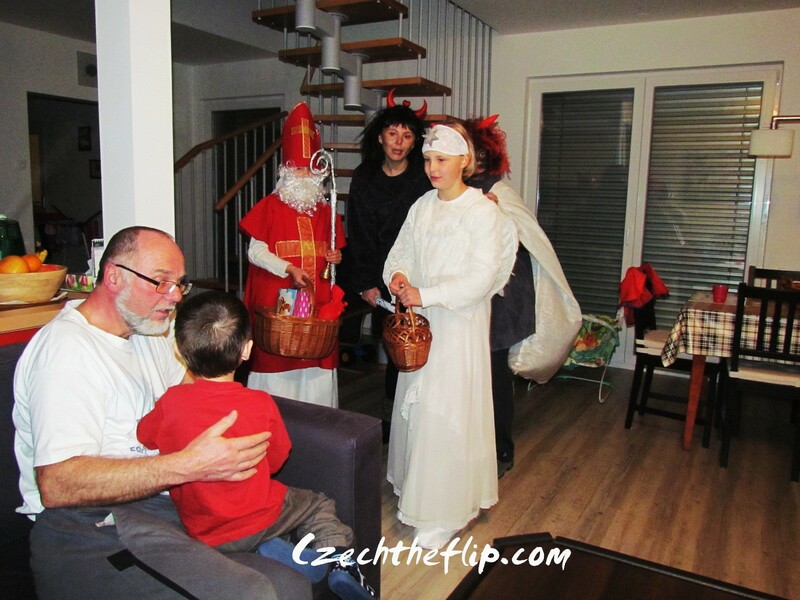 This year, a friend from the neighborhood organized a dramatization of Mikuláš’ visit for the neighborhood kids. We were lucky that grandma and grandpa were still with us, so they celebrated the occasion with us. My son was so happy because he received gifts from Mikuláš . As Christmas is fast approaching, we have a lot of preparations to make. This year, we will not be able to celebrate it with the rest of my husband’s family since my daughter is still too young to travel and be around too many people. However, I am happy and excited to celebrate it with my family — just us. The team is now complete. My daughter is the best gift this Christmas. What is it with kids today? I remember when I was 7 weeks old. I had a day job at the steel mill and a part time at the newspaper press. Harrumph ! I hope so. She is starting to get some regularity now compared to when I wrote this. Thanks, Sara! 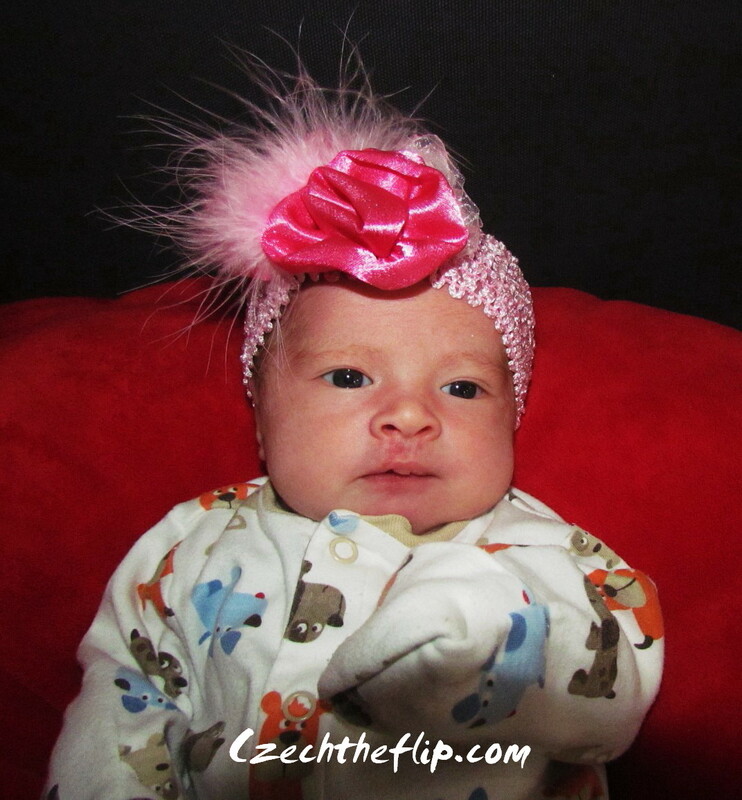 She’s lovely Grace – congrats!!! I hope things are much better these days than they were when you wrote this.